After being left with a pretty bad impression of Cafe Gaudi, I was determined to find a decent cafe spot in Westfield Woden. 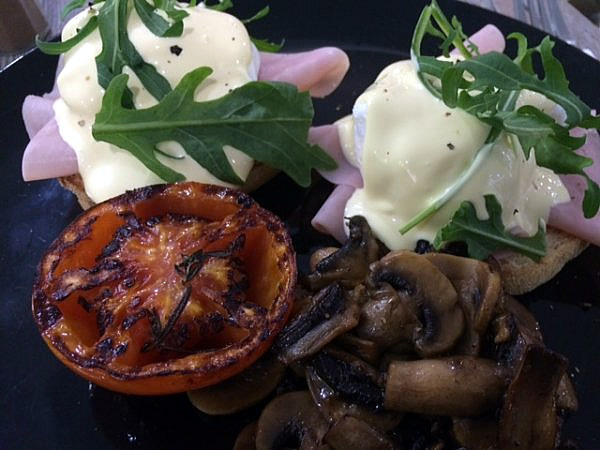 While I understand Caffe Cherry Beans is a franchise, it’s still employing local people and if they can provide a better breakfast option than the local cafe in the same centre, who am I to judge how it’s owned? I’ve been to Caffe Cherry Beans before for lunch, but decided to test out the breakfast menu. It’s very short with not a lot of options, I was also disappointed the only omelette option was ‘cheesy’. With the limited menu I went with eggs benedict with ham and a side of mushrooms. For parents this is a great breaky spot, right next to it is a kids playground to entertain your little ones while you indulge. I happened to go with a friend and her two small kids and they loved the playground and it allowed us time to eat and have a chat while they were entertained. Our drinks came before our meals, which came fairly quickly (within about 10-15 minutes). The eggs benedict was delicious, the right amount of sauce, a decent amount of mushrooms and with my coffee it was all under $20! I know some people avoid cafes like this because it’s not ‘local’, however when you’re only option is a bad cafe, I’d rather put my money into a business who has their sh$t together. Well in the pouring rain I ventured out for a caffine fix and test Espresso in Woden. Totally unimpressed, and noisy with thump thump music. I love Caffe Cherry Beans at Woden (I recommend the BLAT) and the Tuggeranong does good food too. I’m not a coffee connoisseur but do find the coffee quite bitter in the iced coffee. A great place to go if you want decent food and great service. So… where in the den of woe is this? If you are seriously looking for good coffee in Westfield Woden, you need to go to the Espresso Room. 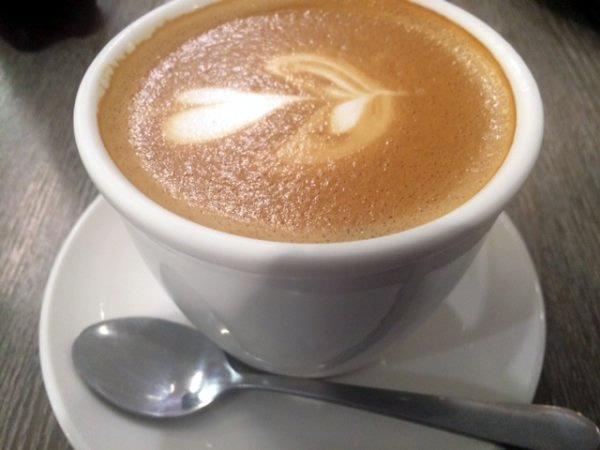 I completely agree Espresso room is by far the best coffee place in Woden – unfortunately because they don’t offer breakfast I can’t include in my reviews :(, but I definitely agree their coffee is fantastic! This is a paid advertisement isn’t it? It’s gotta be for sure. Not a paid advertisement, unfortunately in Woden the options are limited and in comparison it was a lot better than my experience at Gaudi. No Leonard, I’m not from, or associated with the competition. Your assumption is disappointing. I simply found the Cherry Beans product unpalatable. Must be one of the numerous competitors nearby who serve coffee, if you can call it coffee, made from stale/cheap beans. Bzzzt. I am a customer who thinks that coffee from this joint is exactly as you have described the competitors, stale and cheap, along with being bitter, basically filth. Food not too bad though, but far better. LOL at the negative comments about the coffee. (Must be one of the numerous competitors nearby who serve coffee, if you can call it coffee, made from stale/cheap beans.) Both the coffee and service is always very good. One of the few places in Canberra where you consistently get STRONG coffee made to perfection. 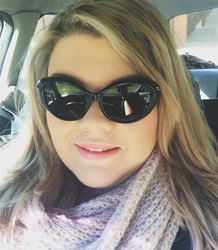 The Gungahlin and Belconnen Cherry Beans cafes are also very good. I’ve been there a number of times. The food and the service are always top-notch. 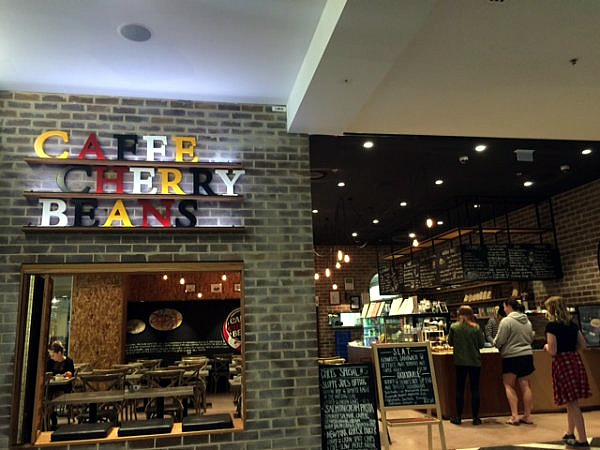 Haven’t been there very recently, but Caffe Cherry Beans at Westfield Belconnen has always had really good coffee, esp. for those who like their coffee on the strong side. I’ve also had lunches there, which have been good, although perhaps not enormous. It’s also in a quiet location in the mall (not adjacent to children’s area or nail salon) near other food places. Bonus: Seniors’ discount on coffee. Banana bread is nice, but the coffee? Common? Strong yes, but bitter and horrid, as someone else said above hotter than optimal so probably burnt hence the bitterness. No love what so ever put into making it at all. I’ve tried both the Belconnen and Woden stores and the same at both. At Belconnen the coffee at Kingston and Co and the coffee shop outside Coles is so much better. Hell even the shop on the 3rd floor near the lift is better cannot think of its name. Went there once for coffee. Not a good experience – weakish, possibly over-extracted and hotter than optimal. Service was ok. Haven’t returned – why would I? Well I was going to go there once, but the chemical smells from the nail salon next door turned me off.